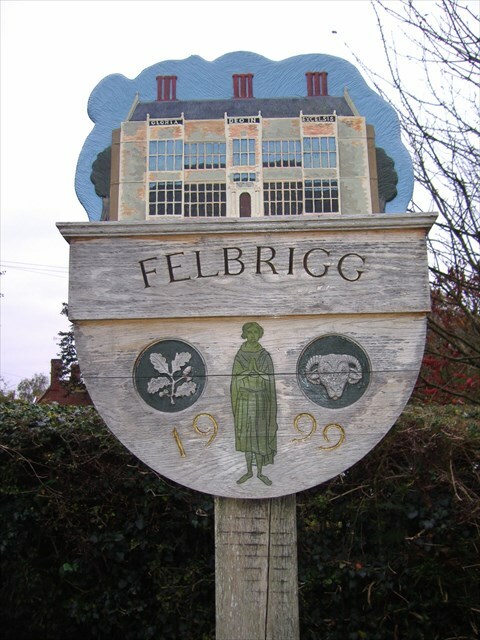 Felbrigg is a small village just south of Cromer in Norfolk, England. The Danish name means a 'plank bridge'. Historians believe that the original village was clustered around its Perpendicular church, in the grounds of Felbrigg Hall, a Jacobean mansion built in the early 17th century, a mile to the east of the present village. In the church are some fine 14th-century brasses of Sir Simon de Felbrigge and his wife, the original Lord of the Manor here..